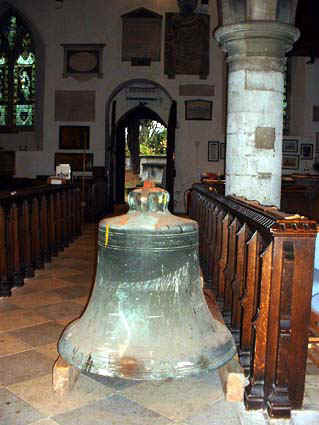 1763 The ring of 5 were recast into a ring of 6 plus a Sanctus Bell (which disappeared over 100 years ago). 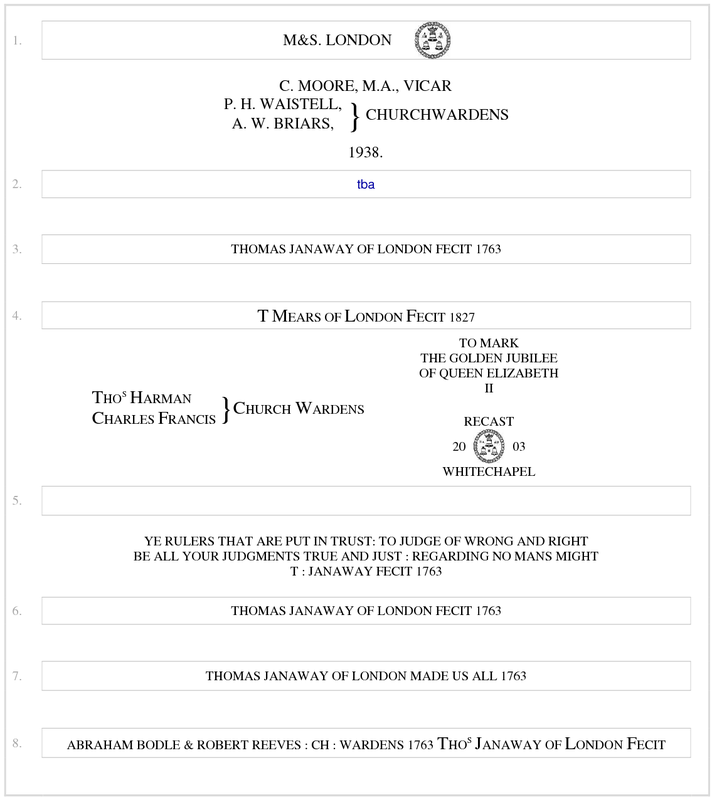 1827 Thomas Mears recast 2nd. 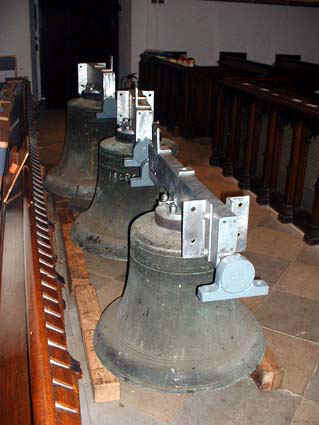 1938 Two trebles added and bells retuned and rehung in a new frame. 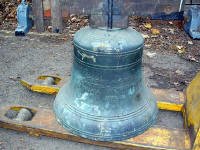 1999 Clappers refurbished and new bearings and pulley boxes were fitted. 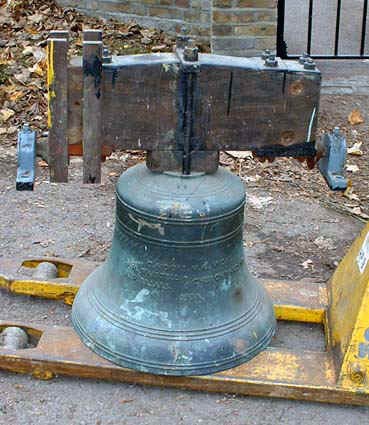 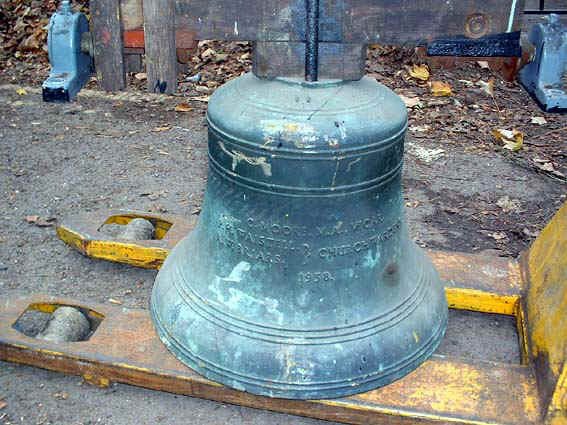 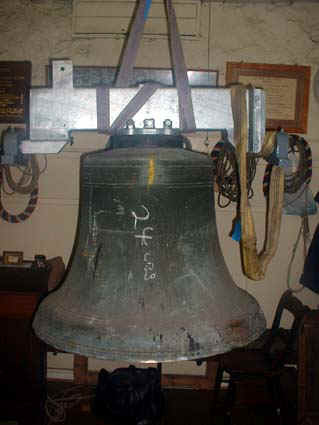 2003 The 4th (of 8) was recast by Whitechapel following their recommendation a few years before that this was a particularly weak bell in the ring. 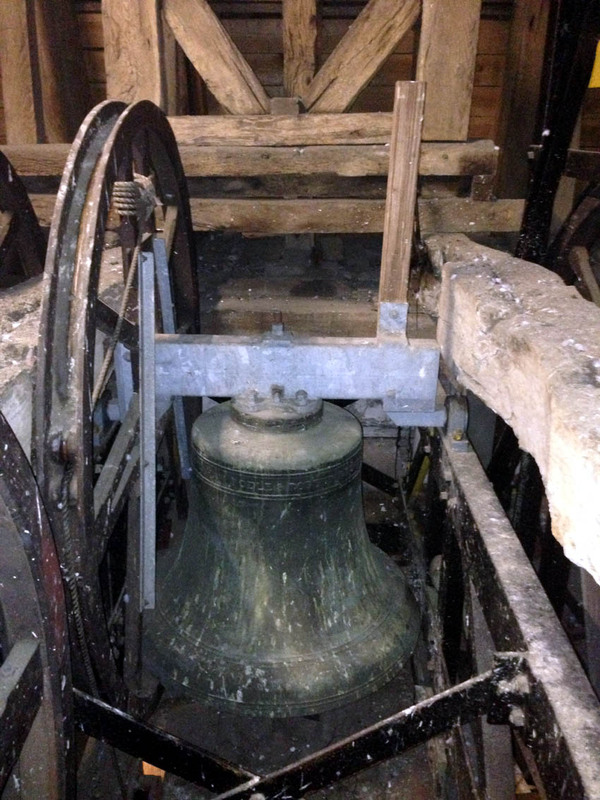 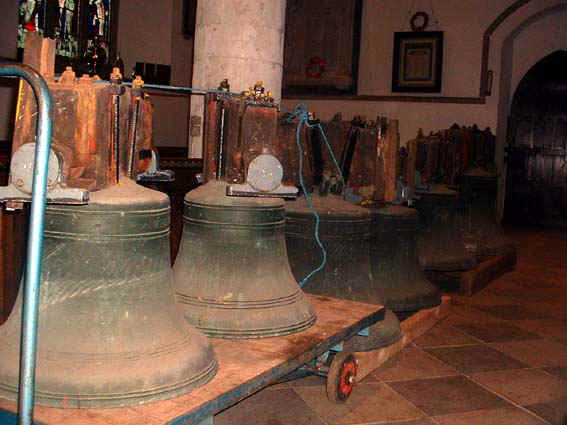 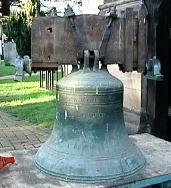 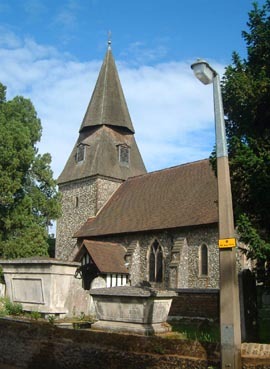 The canons were removed from the bells and they were all rehung. 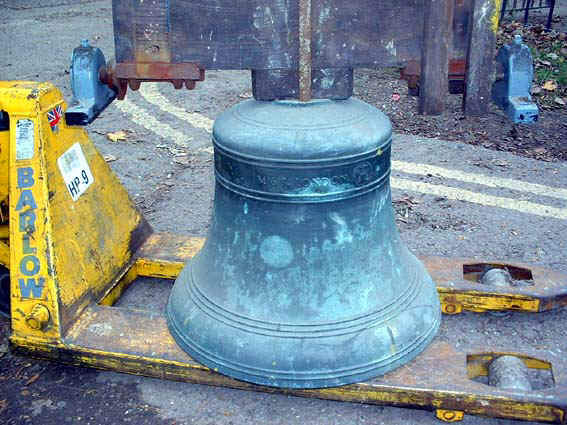 The old 4th prior to recasting at Whitechapel in 2003. 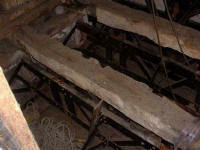 3rd, 2nd, 7th, 5th, 6th and tenor on the floor of the church. 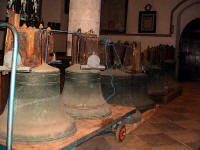 5th, 7th and tenor on the floor of the church. 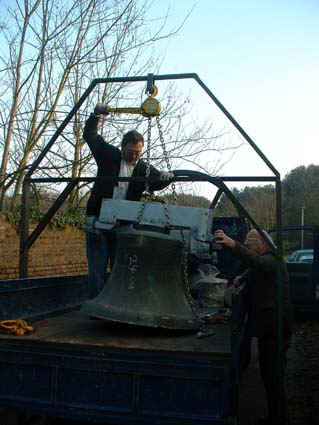 The tenor coming off the lorry, standing on the floor of the church with its new headstock on and being hoisted up the tower. 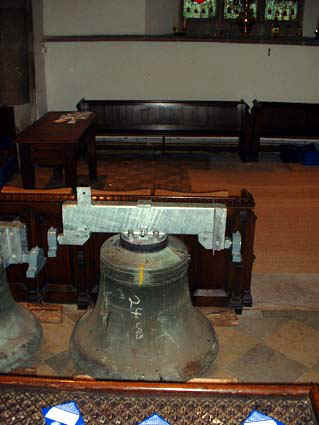 On the floor of the church.